A new month, October already! And that can only mean one thing, time to tell you about the books that I managed to read in September. My pace slowed down a little bit again last month, I was trying to get back to doing coursework although I struggled a bit on that front too, but that's another story for another day. This was a debut book for the author and I have to say I was quite good although I'll admit the first half was more entertaining than the second half. I was fascinated by this novel, so many twists and turns, very clever red herrings that kept me guessing until the end. Never Let You Go is a story of fear and hope, defeat and survival, and two people--once profoundly broken--who discover that love is the only thing that can make them whole again. This story had a lot of potential but for some reason the writing style just didn't resinate with me, in the end I felt it was ok, but just ok. When Rosie Rankin's best friend has an affair with her husband, the consequences reverberate down through the lives of two families. Relationships are torn apart. Friendships shattered. And childish innocence destroyed. Her daughter Daisy's fragile hold on reality begins to unravel when a letter arrives that opens up all the old wounds. Rosie's teenage son Max blames himself for everything which happened that long hot summer. And her brittle ex-husband Nick has his own version of events. As long-repressed memories bubble to the surface, the past has never seemed more present and the truth more murky. Sometimes there are four sides to every story. I managed to get a copy of this to read from Netgalley, you can read my full review on goodreads. Definitely one to look out for. This is one of those stories that just has all the emotion, all of the feels, I was left feeling like I wanted to read it again! So that's my list for the month, tell me, what have you been reading, what's your recommendations for the month? 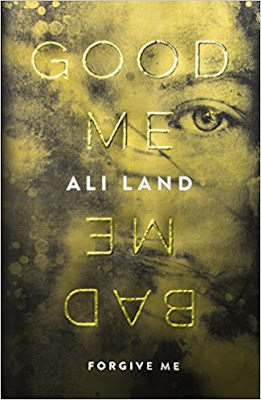 I've added Good Me Bad Me, to my TBR list. I don't know if I could read Heart of Marley. It sounds like it would distress me too much. A couple of those sound just like my sort of book - the two that Michelle has mentioned! I think Michelle and I have very similar tastes in books. My favourite recently has been The Girls and I'm now close to finishing Blood Sisters, which is another really good one.